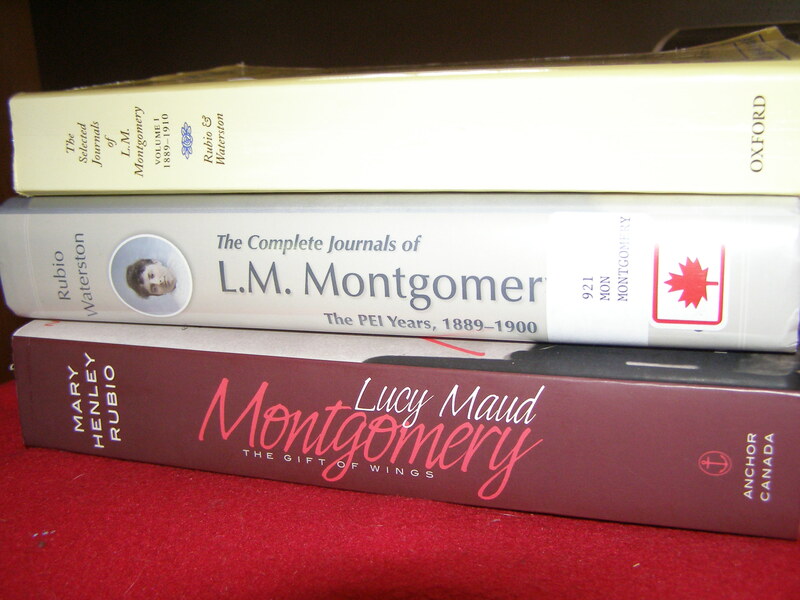 Maud is a fictional account of Lucy Maud Montgomery’s life between the ages of 14 and 17. 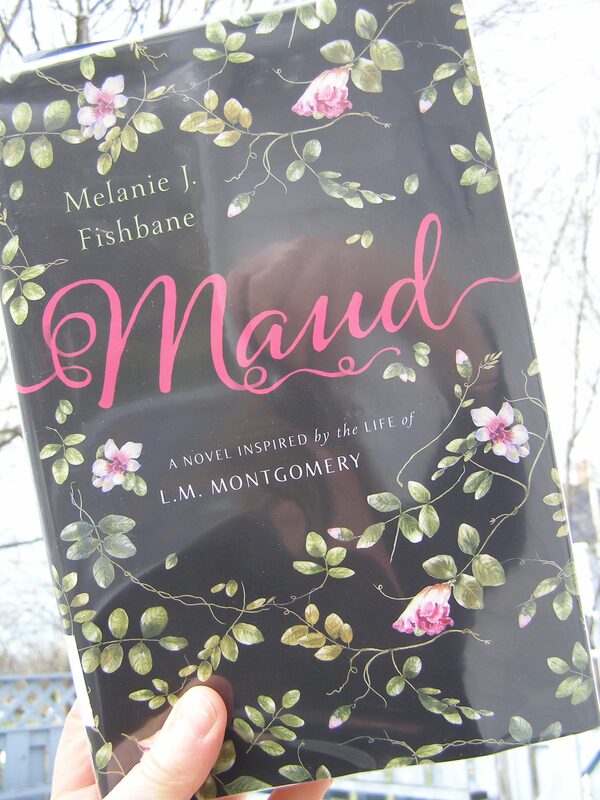 Melanie Fishbane writes in detail about Maud’s family, friends, and possible romances. Maud grows up feeling like she doesn’t really belong anywhere, like no one really wants her. Her grandparents are very strict and stern, and tend to send her away on visits with other family members when there’s a hint at all of any kind of scandal (“We must protect ourselves, Maud, from gossip.“). When it becomes apparent that Maud is getting much too close to Nate Lockhart (the son of a Baptist minister), it is decided that it would be a good time for Maud to visit her father in Prince Albert, Saskatchewan. Although Maud will miss Cavendish and her friends, she’s also excited to think she will finally get to be with her father again; she feels sure her father will accept her and understand her exactly as she is. And she’s hoping a fresh start in a new place will be good for her. Unfortunately things don’t go as she hoped – her step-mother does not seem to like having her there. So, another place she feels unwanted. But she makes a few good friends in the year that she spends there, and is sad to have to leave them behind. All the farewells in this book made me grateful for our ability these days to keep in touch with people so easily. Good-byes are not what they used to be. Emotionally satisfying. 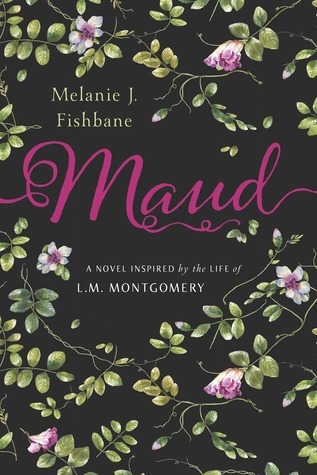 The author sticks very closely to events recorded in LMM’s journals, but reading a fictional account helps to fill in some of the gaps, and go into a more in-depth exploration of the way young Maud might have felt about the events and relationships in her life. Maud had so little power over nearly everything in her life; she hadn’t ever experienced a thrill like the power she had over Nate’s emotions. Comparing all the people and events in Maud’s life with the characters and events in the books she wrote. This is a big reason for any fan of LMM to read the book. It’s fun to see how she compares to her own heroines, like Anne and Emily. And how the people in her life influenced the characters in her books. Among many other examples, Maud and Nate competing at school reminds me of Anne and Gilbert; Maud and Emily both burn their journals after having them discovered; Maud and Mollie make a vow of friendship like Anne and Diana; Maud’s teacher, Miss Gordon, is very similar to Miss Stacey; and the attentions of her teacher, Mr. Mustard, brings to mind Mr. Philips. The historical setting. Unsurprisingly, I loved reading about Prince Edward Island and Saskatchewan in an historical context. But it was especially nice for there to be so much focus on Prince Albert. When it comes to LMM, we so often hear about PEI or even Ontario. I enjoyed spending time in Prince Albert, and reading about her observations of the place. Instead of being known by the community since before the day she was born, and being saddled with ancestral baggage and expectations, she comes to Prince Albert as an unknown, to all but her father. We see the community through the eyes of someone seeing it for the first time, and how she reacts and adjusts to her new life there. Loving Nate meant not only defying her grandparents but also denying herself what she most desired – independence, a life of writing and education. She remembered Miss Gordon’s words about the difficult road that lay ahead for any woman who wanted a career. It took a special kind of determination, one that she knew she had. In fictionalizing Maud’s story, she can come to represent any young woman of that time – longing for a place to belong and the ability to follow your dreams is something anyone can relate to. She realized how many different types of girls she was, how many different types of girls she could be. She would write about girls who dreamed of words, art, music, and love – girls who were embraced by their communities and families, even if they were considered queer. She would create stories that came from the dark corners of her soul, giving voice to her rainbow valleys, shining waters, and disappointed houses. She would find a home for herself within them, living in the in-between. 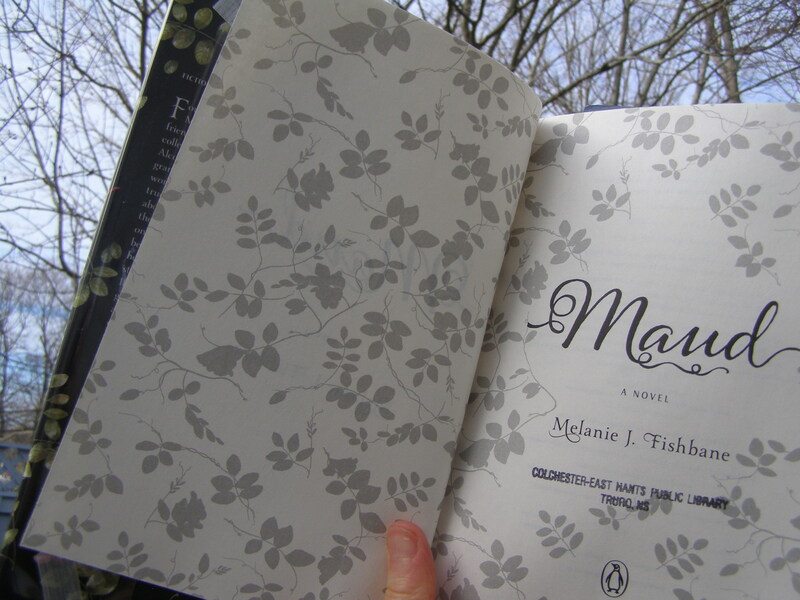 At the end of the book, Melanie Fishbane includes a reference section, as well as an update on what happened to Maud’s friends. A favourite line: Maud wrote as if it burned her to write, but it would scorch her if she didn’t. Like Before Green Gables by Budge Wilson, this fictional account of Lucy Maud Montgomery is a brave kind of book to write. I think it would be a hard thing to get just right for all of Maud’s fans. Melanie Fishbane had to know, inside and out, who and what she was writing about. The book feels well researched and is full of respect and compassion for Maud, the character. Don’t make the mistake of going into this book expecting it to be like LMM’s novels. The style of this book is Fishbane’s own, and I think it’s to her credit that she didn’t try to emulate the style of the person she is writing about. Also, don’t make the mistake of going into this book thinking it is going to be happily-ever-after, like an Anne book. As an account of LMM’s early life, it’s full of adolescent confusion, hardships, and sorrow, as well as the happy times. Kirkus Reviews advises redirecting readers to Mary Henley Rubio’s biography. Although they may both tell the same story, I think it’s valuable to have different ways of telling it – some readers may never venture to read her journals or biographies. And some of us are happy to read it all. It’s the other point that Kirkus Reviews brings up that I wonder about… As a fan of LMM, I was captivated by this book and gobbled it up. But I couldn’t help but wonder how it would go over for the YA crowd it is marketed for, many of whom probably know very little about LMM, even if they’ve read some of her books. I was happy to soak up every detail, examine it, compare it to what I already know and what LMM wrote about herself. What would it be like to read this without prior knowledge of LMM and her stories? If you’ve read this book, I’d love to hear your thoughts on it! I love novels about real people. Perhaps it helps that I know little to nothing about LMM’s life — if I pick this up I won’t have too many expectations? As soon as I heard about this book, I knew you’d soon be reviewing it! You know me well, Kay! Just to play with the quote you’ve included, I didn’t have a burning desire to read this one because I was afraid it might scorch me. But knowing that we felt the same about Budge Wilson’s prequel, I’m trusting this one won’t be disappointing after all. My concern was that it was targeting the YA market and the tone would be false compared to LMM’s journals and bio, in an effort to lighten the content for younger readers. It sounds like she covered this very well, so thanks for an encouraging review! I think she handled it well. And I think you’d have as much fun as I did picking out all the comparisons to her novels! Thanks for the review and for recommending another book to my TBR pile. I love your enthusiasm fro LMM and her amazing books! I love the Anne series and look forward to learning more about LMM. I am hoping to visit her Manse in Uxbridge, Ontario this summer. Oh, you will have to write a post about your visit! I think the author did a good job keeping true to the time period. It felt a lot like reading her journals, but with some of the gaps filled in. If you don’t know a lot about her, it would be a good way to learn about that time in her life. Just keep in mind that it’s geared for the YA crowd. I’d love to hear your opinion on it! I have ordered this novel, and it’s going to be early on my summer reading list. Also, I finally finished the third Emily book and included my thoughts about it in this post (I know I got behind the rest of you all who were reading it). I hope you enjoy Maud – looking forward to hearing your thoughts on it! Thanks for including a link to your post! I’ll add it to the bottom of my Emily’s Quest post. It would be interesting to get the opinion of a young person who reads this without any background knowledge of LMM. It might be easier to get a younger reader to pick up a fictional account rather than a biography. It sounds like the book is rather true to life and the period in which LMM lived, which I find very appealing. I tried to get my daughter to read it after I was done, but she told me that she already had a big list of books to read and so it would have to wait. Hmm… I wonder where she gets that from! I think you would like it, TJ! I have this in the queue, as I have to read anything LMM. But I have the opposite taste: I generally dislike fiction based on a real person, especially one I know so much about! So I’m hoping I have the same reaction to it as you did. I’m especially interested in how she presents Prince Albert.. my hometown! Your hometown! Well, if nothing else, that part should be fun for you to read! Looking forward to your thoughts on this more than ever now that I know this type of book is not normally your thing. Good plan! Can’t wait to hear what you think of the Anne books! Reading about real authors from fiction accounts can be dicey — but it sounds like this one is quite good and well researched. Too bad things didn’t work out for LMM while staying at her father’s. Sort of a heartbreak, was it not? I’m never quite sure how I feel about fictionalised biography, but this does sound good – well written and as you say, with themes that are easy to relate to. I might try and get over my bias! I love reading fictional accounts of real people, but I can understand the frustration of not knowing what’s real and what’s imagined. For me, it’s a good way to learn about people and events without having to rely only on non-fiction. Courageous is the writer who takes on writing a biographical novel of someone so loved.